With our own parent farms, hatchery, feed mills and chicken processing plant, we have complete control on all the process parameters at different stages resulting in superior quality chicken and chicken products. We use top of the line raw materials and test the finished products for their homogeneity and performances. 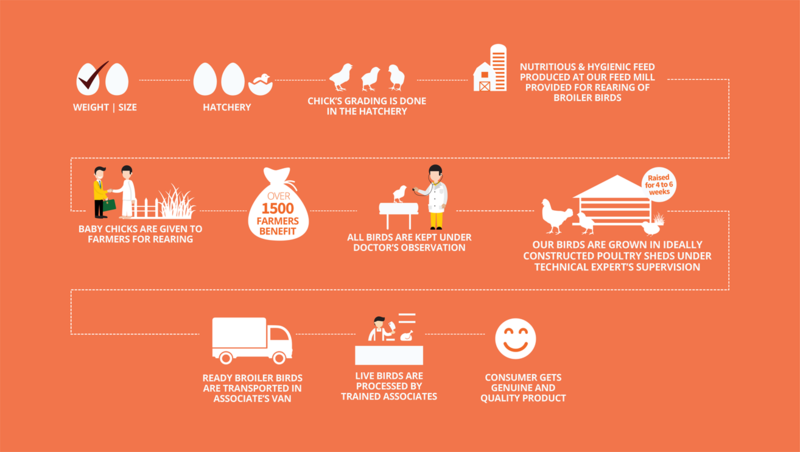 We have 2,50,000 laying parent birds and the hatching capacity of 36 million eggs per annum. 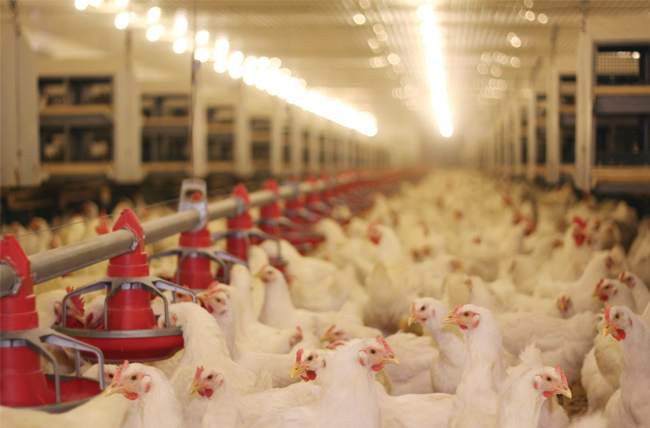 The average chicken placement per annum is 32.4 million. Baramati Agro has played a pivotal role in changing the lives and livelihood of the farmers in Maharashtra. 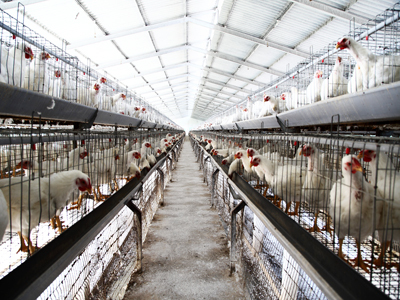 Today we have over 1500 farmer members and 3000 contract broiler farms. Baramati Agro supports the farmers to build their farms by facilitating investments through banks and financial institutions. A day old chicks are given to the farmers along with nutritional feed till they attain maturity. During this time period we provide all support such as medicines, vaccination etc. and monitor the growth of the birds with the help of highly skilled technical teams. On maturity of the birds they are taken back from the farmers for sale and processing in our own plant. The farmer gets his remuneration for growing of the birds. This cycle ensures a continuous and steady income to the farmers. Even the manure generated from the farms is very useful to the farmers for manuring his fields and thus helps in reduction of his expenses on agriculture. 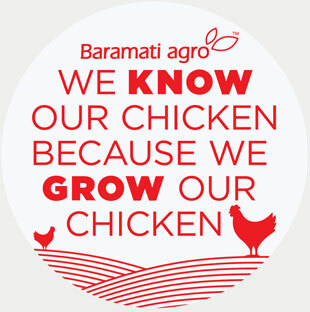 Baramati Agro is a fast growing player in the processed and value added chicken segment with a range of unique and differentiated products under the brand name :Delicious. We have a State-of-the-art chicken processing facility with an annual capacity of 6600 MT and is ISO 22000:2010 certified. Our plant is also HALAL certified. We have a well-equipped Product Innovation Center for research and product development with a dedicated team of food technologists, nutritionists and chefs.